Mount Gillen is located within John Flynn’s Grave Historical Reserve, which was named to commemorate Reverend John Flynn, who established the lifesaving Royal Flying Doctor Service. The grave is a memorial to both the man and the bridging of the gap between outback communities. The Flynn’s Grave memorial lies at the foot of Mount Gillen, where an informal and unposted trail leads to the summit. Although not an officially recognized track, it is a popular one and is quite well worn. A walkers’ gate approximately 150 feet (50 meters) from the Flynn’s Grave memorial marks the beginning of the track. 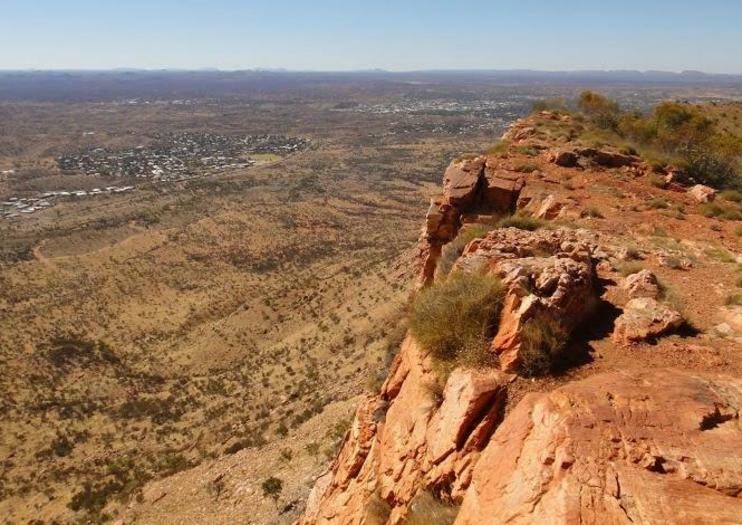 Mount Gillen is located about 4 miles (7 km) from the Alice Springs town center and is a short, 10-minute drive away. The hiking trail to the summit is relatively steep and unmaintained with some uneven terrain. Hiking the trail is perfectly safe, but walkers should carry adequate water for the Central Australian heat.